Please select an option Iphone 7/8 Iphone 7/8 plus Iphone x/xs/xr Iphone x-max Please select a MODEL. Let everyone marvel at your Marbelous iPhone case, get more for variety! The case is made of solid ABS. 5400 mAh Stored additional power charger with one click. Support iPhone models 7/8, 7/8Plus, X, Xs, Xr, and XMAX. 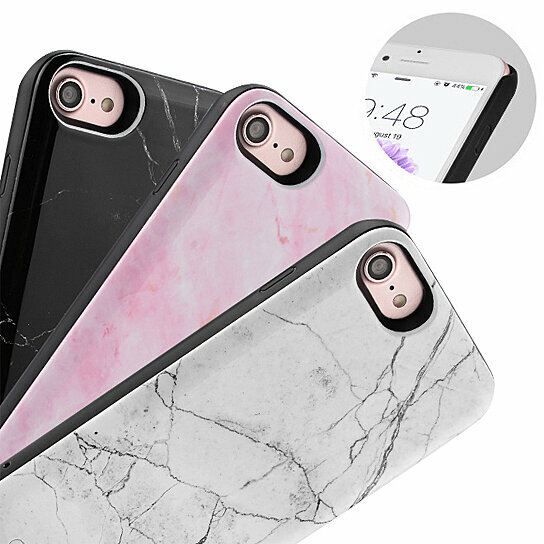 Enjoy different veins and grains on each case just like real marble. All iPhone functions are accessible through the cutouts without taking out the case. They come in Pink Marble, Black Marble, and Marble Gray. Great for gift giving. Get more, each sold separately.